Search Engine Optimization article updated August 2014. Based on this websites log files you most likely found your way here via a relevant search on Google. Maybe a SERP (Search Engine Results Page) like Search Engine Optimization Tutorial 2014 or WordPress SEO Tutorial, Google SERPs I’m doing quite well for. Whatever keyword search you used, you almost certainly are looking for help to improve your search engine rankings (most likely for free :)) and more than likely consider Google THE most important search engine to your websites rankings. You’d be right, Google is the most important search engine. 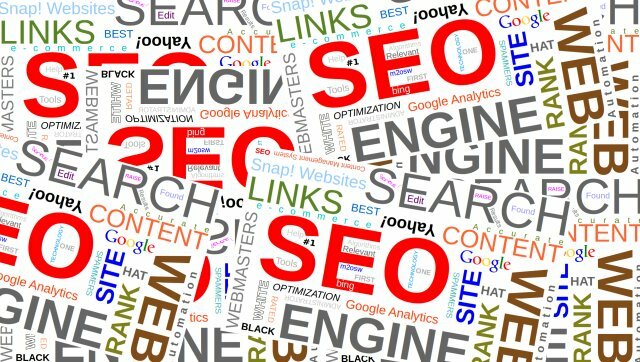 Let’s cover some basic search engine optimization concepts, SEO is a relatively straight forward set of quite basic techniques, SEO concepts are easy, it’s search engine optimization technique implementation that requires skill. 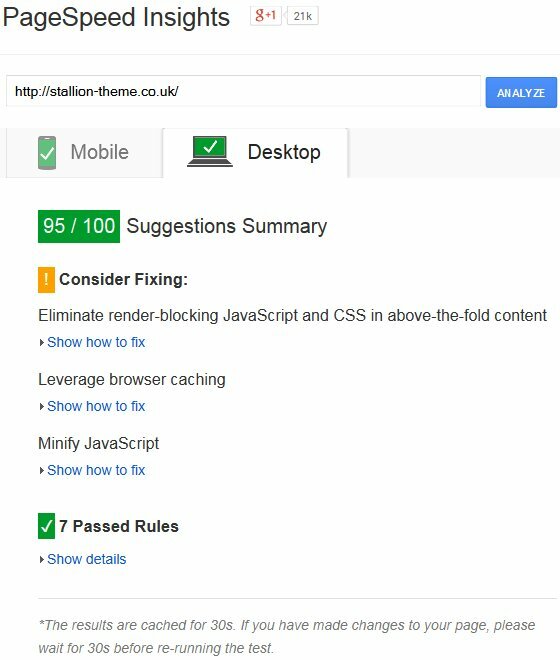 As an ex-SEO consultant (no longer offer SEO services) and an WordPress SEO developer for over a decade I can pretty much guarantee any theme or template you’ve seen advertised as an SEO theme is talking SEO BS. 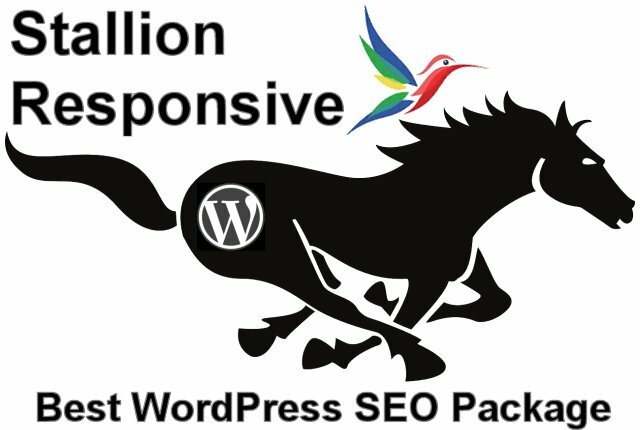 There is only one true WordPress SEO theme and it’s part of the Stallion Responsive WordPress SEO Package. Whether you use WordPress or individually hand crafted HTML pages, the general optimization is the same. Having a search engine optimized template/theme means your title elements (title tags to the layman), headers, menu links, footers (everything except the main content) should be optimized without having to do much work: the theme/template should work for you not against your best SEO efforts. 2. Performance SEO matters: Related to your optimized theme/template is SEO performance, a relatively new set of SEO metrics and not as easy to manage as traditional SEO metrics like your title tags. This aspect of search engine optimization is much harder and fortunately built into Stallion Responsive. 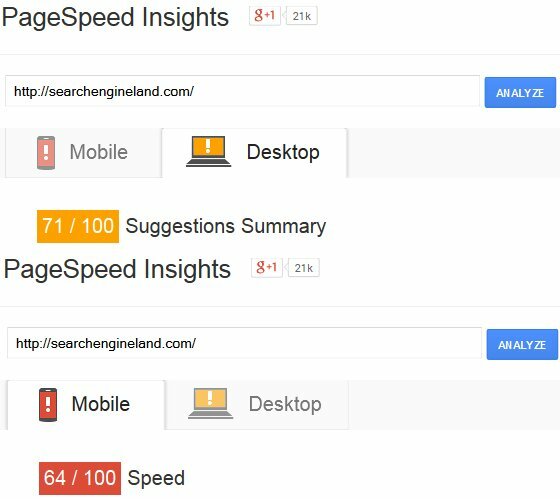 What I want you to do to understand Google performance SEO is use Google’s PageSpeed Insights Tool (link opens in a new window). The link will show you insights into how Google views the domain you are on now performance wise. The above results is what you should expect from a website that’s search engine optimized and ready for Google 2015. Now we need a comparison, if you own a domain replace my URL with yours and run the test again (click Analyze), if not let’s look at the first domain that’s not owned by Google that ranks high for the Search Engine Optimization SERP (Google domains are doing really well for SEO SERPs :-)), the domain searchengineland.com is what we’ll compare to. Recently for example Google stated they are giving a small ranking boost to websites running under SSL (domains starting https:// rather than http://, the S stands for SECURE). I expect what today (August 2014) is a small ranking boost will in a couple of years be given more prominence, so when I find the time I’ll be switching this domain to https://. If you are an old hand to SEO I’m afraid this and more is now part of Google SEO, so don’t be left behind and take performance into account now before it becomes a major ranking factor (there’s still time be ahead the game). 3. Create search engine optimized content: It might sound obvious, but if your content doesn’t cover the SERPs you want, there’s no realistic way for your content to gain those SERPs. There are so many pages online today that do a brilliant job of covering content for the web sites visitors, but do terrible when describing what the webpage is about to the search engines. It’s easy to do both. For example the page you are reading is about Search Engine Optimization, if you read the content you will note all three keywords AND semantic derivatives AND related SERPs (think thesaurus alternatives) are used a reasonable amount of times throughout the content and the page title is “Search Engine Optimization”. A related SERP would be SEO Ranking or Performance SEO, but if as I wrote this article I did not take the abbreviation SEO into account there would be no way for a search engine to know this page is also about SEO Ranking and Performance SEO as well. Currently (August 2014) the SEO Tutorial article from this site is ranked top 5 for both SERPs. This is because Google ‘sees’ Search Engine Optimization and SEO as meaning the same thing, Google passes SEO benefit for both rankings when either is used. It’s not equal, the SEO Tutorial SERP will benefit most from the use of SEO and Search Engine Optimization Tutorial SERP from Search Engine Optimization. By using both versions we gain benefit for and from both derivatives. 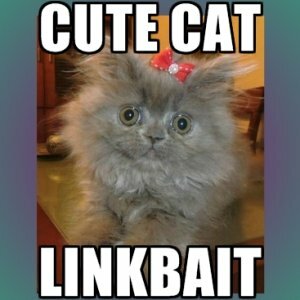 The best way by far to obtain links is to create content others will link to naturally, AKA create link bait. This isn’t always possible, so take a look at the other webpages of the site for ideas (lots of articles on gaining links via various methods). Why is Search Engine Optimization Pricing so Expensive? As you can read above the concept of search engine optimization is relatively straight forward. This might come as a surprise coming from an SEO expert looking to take your hard earned money (go buy a copy of Stallion Responsive :-)), but improving search engine rankings (Google rankings) isn’t difficult, at least what results in good search engine rankings isn’t a big secret only known by the select few. Though like any specialty, if you don’t know much about the subject it might as well be advanced brain surgery. If you know absolutely nothing about Search Engine Optimization (SEO) you might have even been naive enough to believe you build a good website and masses of visitors will swarm to it via search engines, because that’s how websites and search engines work: “build it and they will come”!. Since you are reading this page you’ve realized it doesn’t work that way. I have to admit to being that naive person over 10 years ago when I started my first website (ecommerce store). My search engine naivety soon vanished when it took weeks to take the first order and that order was paid for via Overture paid advertising (like Google AdWords today)! Over a decade later I use the same SEO information and many more newly acquired skills to help other business website owners to improve their search engine rankings, with a strong emphasis on Google rankings. Some great advice! Thank you for sharing. It is definitely true to say that sticking with seo basics at the beginning of any website development is a positive way to start. 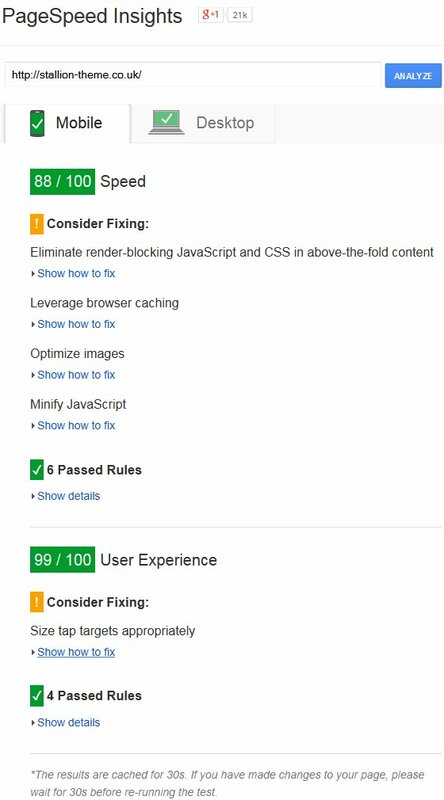 No matter how much the search engines change and update their algorithms, some techniques will always be guaranteed to work as the basics of a foundation for good quality on page and off page optimisation. With good keyword placement and an understanding of LSI, it would be fair to say that well written content is a fantastic place to start, and in theory, with well placed anchor text (keyword rich), that’s all you really need to keep the search engines happy as far as on page seo is concerned. I definitely agree with the power of building back links. Gone are the days of adding thousands of links in the hope that search engines would consider you a trusted or authority website. And it is a good thing to! One way links leading to one’s website is well tested (I can certainly vouch for their power), and is highly valued by the major search engines. Thank you again for a well written post. Wishing you great success for 2010. With so much information presented here, I am no longer surprised that SEO-optimized companies these days are becoming kings of search that mainly help millions of virtual customers out there. The only thing I am not a bit confused about is on where to begin. My site may require as much help as you can explain to me. I do hope you can give me an idea about what to do. Hi Dave – how effective is autoblogging software towards generating content that will improve PR. Also, how effective is backlinking software towards producing quality links to improve PR?